It’s the weekend, and your dog has been looking forward to it as much as you have. There is nothing our furry companions like more than discovering new dog friendly places and spending time with us. We at Pupsy want to inspire you to go and explore beyond the familiar corners and smells and make some pawsome everlasting memories! Sydney’s Northern Beaches offer plenty of dog friendly places for chilling out and exploration alike. We have listed our favourite dog friendly spots for you to build your day trip. We guarantee you and your pup won’t be disappointed. If you and your dog are keen for a longer exercise walk, Narrabeen Lagoon Trail is the place to go. You can walk around the entire lagoon while taking in beautiful scenery and plenty of fresh air. The walk is 8.4km long and it will take 2-3 hours to do the entire loop. You can also choose just one part of the trail and walk back the same way if you’re short on time or your pup isn’t the most energetic. There are a couple of picnic spots with water stations, but it’s always best to come prepared. Make sure you begin the walk with water for both of you, and you’ll be able to refill on the way. Also bear in mind that about half the trail is exposed, so can get very hot during summer. What you’ll notice is that the trail has a very friendly atmosphere. Joggers, hikers, leisure cyclists and families with small kids on bikes all enjoy the area. It can get a bit crowded sometimes, but we have found that everyone is respectful and accommodating, so no need to worry about feeling intimidated in any way by all the traffic. Rowland Reserve in Bayview is one of the most amazing off lead dog parks in Sydney. It has a large grass area to run and chase and easy access to the beach to go for a swim with your pooch. Fresh water is always available at the puppy drinking fountain, and there are trees at the edge of the park if you need some shade. 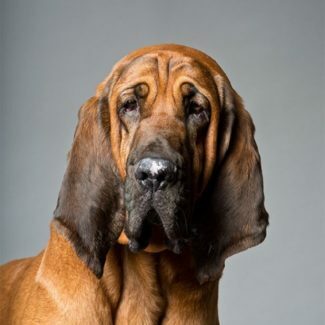 It is very popular with locals and you will always find a lot of playmates for your dog. During the weekends you’ll often find dog wash services and even a mobile cafe. There is a dedicated parking section of the large car park for dog park users, and limited parking on the street. If you want to get some exercise done while taking your dog to the off lead park, South Mona Vale Headland is the place for you. This dog off lead area right behind Mona Vale Hospital has a rather steep hill, perfect for you to do some uphill walking / running, while your pooch is having a blast with his/her new mates. There is also a large flat area at the bottom of the hill to go and have a rumble with your furry friend. Find all other dog parks and beaches in the Northern Beaches. After all that playing and running at the park, it’s time to refuel. 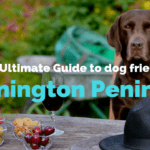 Most cafes allow your dog to sit outside with you for a coffee but if you are after a super chilled atmosphere for both of you head “beyond the bends” to one of these soulful dog friendly cafes. Sit and relax at the Boat House Palm Beach with your pup while enjoying the uninterrupted Pittwater views. You won’t get these multimillion-dollar views anywhere else, unless you own a waterfront weekender of course! The breakfast menu has a selection of classics with a healthy twist, while the lunch menu is seafood focused. The Sneaky Grind as its name suggests, is not the easiest place to find, which makes it locals’ favourite in Avalon. 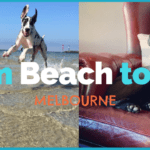 It’s a Surf Shop / Café with some of the most dog friendly staff you will come across, and your pooch is likely not going to be the only dog having coffee with their human parents at this chilled hidden gem. Forage Wholefoods serves undoubtedly one of the best coffees “beyond the bends” and their all-organic food menu makes The Forage Wholefoods a unique experience in the Northern Beaches. The covered dog friendly deck is always filled with Clareville locals (including Jennifer Hawkins!) enjoying a morning coffee or healthy lunch. They also have an organic food store next door which sells bread and other healthy essentials. Check out other dog friendly cafes in Sydney. It is simply impossible to write about dog friendly places in the Northern Beaches without including The Newport. This iconic establishment has always welcomed dogs of all kinds to join their human parents. Dogs are allowed everywhere in the venue and The Newport even organises events for their furry regulars. If you are after a lazy afternoon with your pup, this is the place to be. 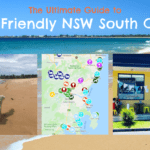 There is more to the dog friendly Northern Beaches than Newport. Mexican inspired bar/restaurant Alma Avalon welcomes you and your dog at their covered front deck to have a drink and some snacks while watching the lazy Avalon beach life rolling by. If you are a beer enthusiastic, then your visit to Northern Beaches is not complete without visiting the dog friendly Modus Operandi Brewery. While your pup has a sniff and play with Stout (the local brewdog), you can explore the selection of beautifully crafted local beers. Modus Operandi also runs their own kitchen in case you feel hungry after the day’s events. Nomad Brewing Co. is another great dog friendly brewery located further south in Brookvale. Choose from 11 different beers on tap; your pup will be satisfied with his/her own bowl of H2O. Check out other dog friendly pubs, bars and breweries in Sydney. 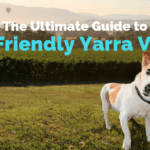 Sydney’s Best Inner City suburbs to visit with your dog!